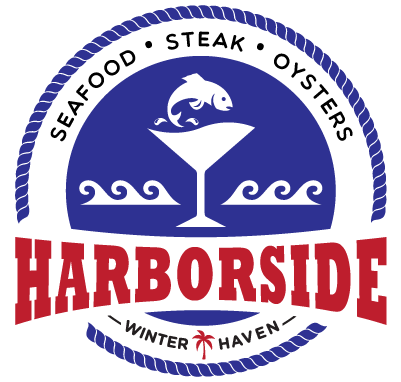 Events at Harborside are always memorable and special. For all inquiries, please fill out the form below and we’ll be in touch soon. Please note: inquiries Friday after 2pm will not be respond to till the following Monday. Fully private. Flat screen TV with video capabilities through Apple TV or an HDMI cable. Room can hold up to 32 people . Deposits/ Fees / Minimums and Pre Set Menus required. Please email for more information. Up to 42 people seated or 75 cocktail style. This screened in space (non a/c) sits right on Lake Shipp and has its own bar. All tables are bar height. Fees and restrictions apply. Please email for more information. Back section of the main dining room directly adjacent to the main bar. Holds up to 48 seated. This space is not fully private. Only available on specific days / times with restrictions. Please email for more information. Up to 52-55 people seated or 80 cocktail style. 100% percent outdoors on Lake Shipp. Shade sails covering a portion of the area and private bathrooms adjacent to the space in addition to your own entrance / exit. Deposits / Fees required.